Beach House has one of the most distinguished sounds of the 2000’s. 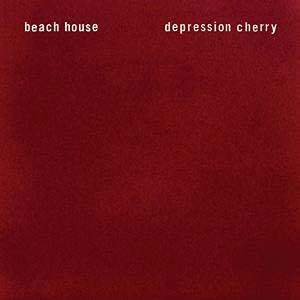 Essentially the pioneers of dream pop, our journey into fandom with the duo began with 2006’s self titled release and continues now with Depression Cherry, a name truly fitting for Beach House’s latest. Its delightfully sweet musical tones radiate with the saccharine tastes of a cherry, yet it wouldn’t stand true to Beach House’s developed fashion without the despaired vocals of singer Victoria Legrand. Despaired and strangely more robotic, yes, but the more high-fi tinged sound by Alex Scally makes Depression Cherry a solidly rad release. Though as a whole the album is amazing, it still has its slight moments of meh. It starts out strong with the trance-like beauty of “Levitation” and the spaciness of both “Sparks” and the aptly titled “Space Song.” “Beyond Love” is probably the lowest point of the record. Let’s not ignore the fact that “PPP” sounds like Teen Dream‘s “Take Care” mixed with the unfortunate curse upon the world that is Coldplay‘s “Clocks.” If you can ignore this sad fact, you’ll find Depression Cherry just as enchanting as any other Beach House album.